(Piano Method). 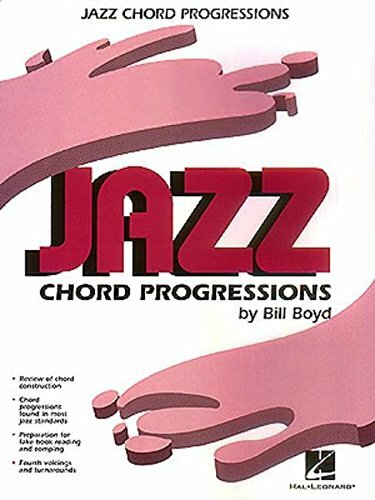 This book contains the chord progressions found in most jazz standards. Each progression is written with chord voicings which are indigenous to the style. The book is divided into two sections. The first section uses chord voicings with the root as the bottom note. This voicing is appropriate when playing with a jazz group where there is no bass player. Chord voicings with the third or seventh of the chord as the bottom note are the basis for section two. This voicing is useful when a bass player is present to provide the root movement. The same progressions appear in both sections. The study of this material will help prepare the player for fake book reading and comping with a group. Boyd was 1 of 18 children born to an Oklahoma sharecropper. He was in the Marine Corps. He started his writing career as a reporter at the Macon Telegraph. He was named state editor and was assigned to travel the countryside in search of stories.